Coaching Youth Basketball and Want Better Results? Get Free Team Basketball Drills That Work! M14Hoops Basketball Academy presents free coaching youth basketball resources, both individual drills for you to teach and team ones. 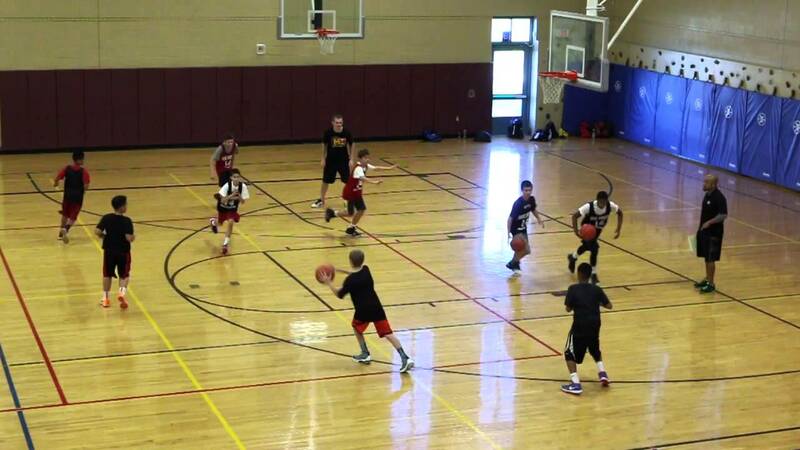 Below you will find videos covering basketball team drill fundamentals. After players have practiced the skills set out on the Individual Basketball Skills page, you will see the difference in how they carry out the Team Basketball Drills below. Having individual skill is great; but, the great players are the ones who can transfer their individual skill into the team! We believe in offensive spacing, player movement and ball movement ; this means players must be taught how to anticipate and read the defense. After all, there is only 1 ball on the court so 4 other players will have to know how to play without it.We also teach players defensive principles. This will allow them to impact the game on both ends of the court. At M14, we build complete players, not just great ball handling or shooters. We even get them playing both hands equally. As our players progress with their individual skill, we introduce team concepts. Coaching youth basketball is our passion. We are happy to share key basketball fundamentals with basketball coaches around the world. Check out the videos below! © 2018 M14Hoops Indianapolis. All Rights Reserved.